After you have camped the night, cooked and eaten your trout &/or crayfish, walk West along the Tyers. 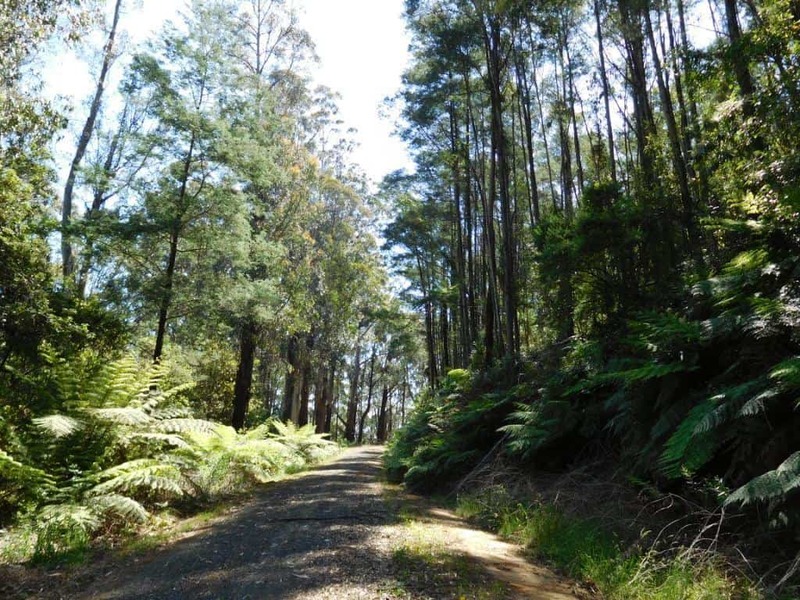 The Western Tyers Road follows the course of the old timber tramline which carried the forest’s products via Caringal to Collins Siding (Erica) and onwards to a wider market where they were used to construct houses and buildings elsewhere in Victoria – amnd sometimes much farther afield. 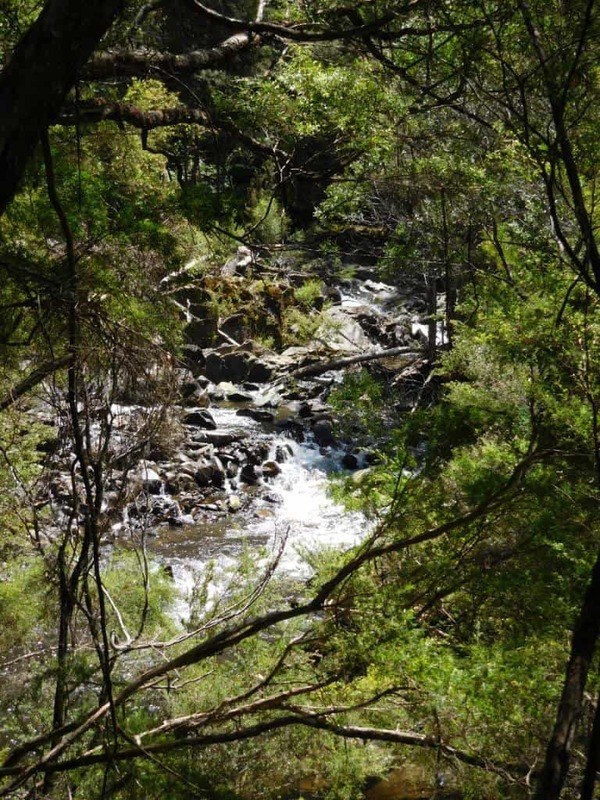 In April Della and I walked the South Coast Track in Fiordland New Zealand. 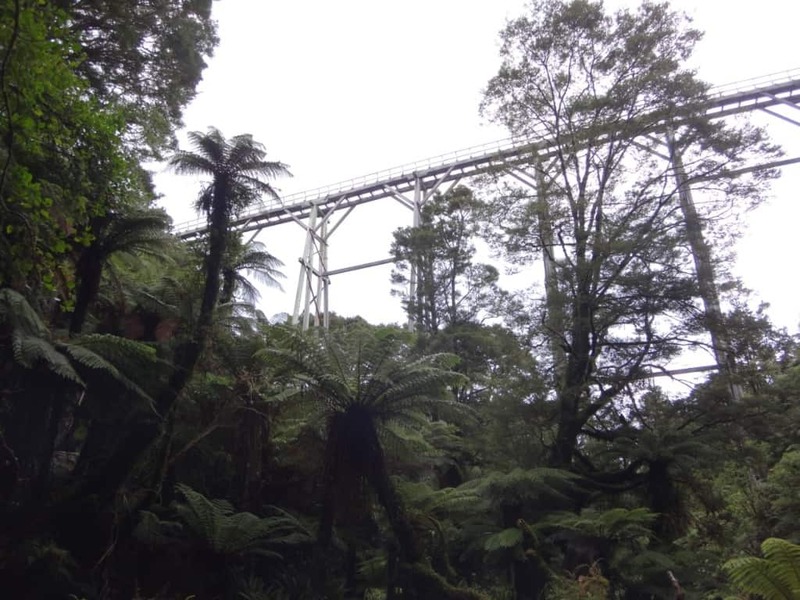 A feature of part of the track were huge trestle bridges which had been constructed from logs imported from Australia in the 1920s! Percy Burn Viaduct, South Coast Track, Fiordland New Zealand. There are two campsites at Palmers. This is the first. The second one where the bridge used to cross the river is where the tramline carried on to Growlers. It is still possible to walk along it – and the more who do, the easier it will be. 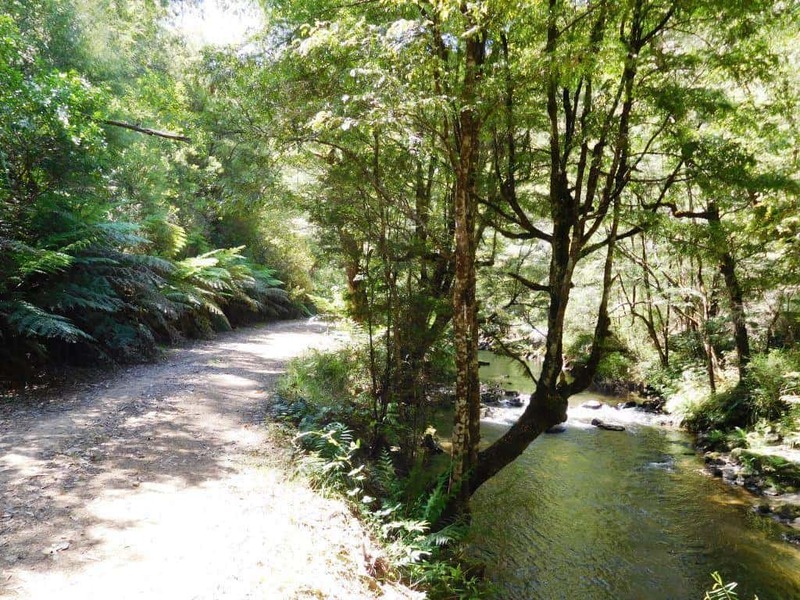 You can continue on along the road, but the views of the river and forest are better from the tramway. nowadays. 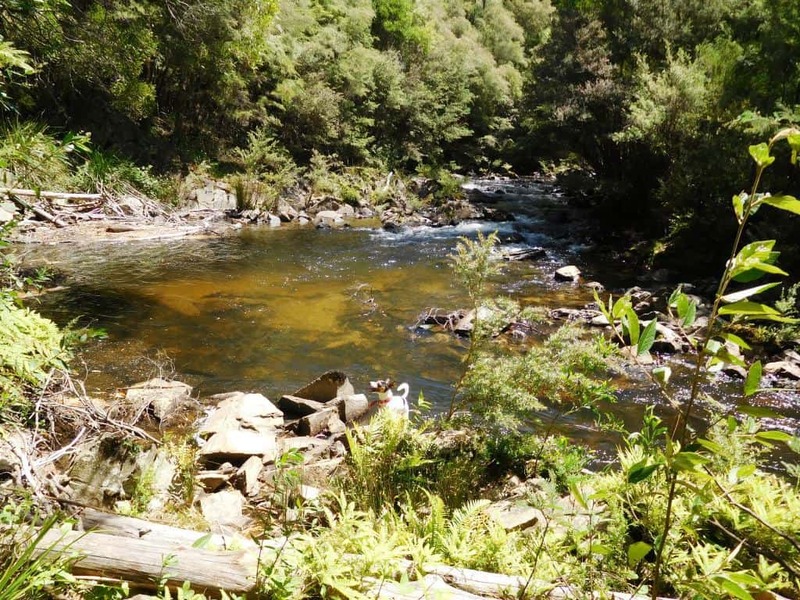 A refreshing dip on a hot day will surprise you how very cold the water is on the South Face of the Baw Baw Plateau. There are some wonderful rapids in this section of the river I used to enjoy when I was suicidally young and ebullient! There is also great fishing. 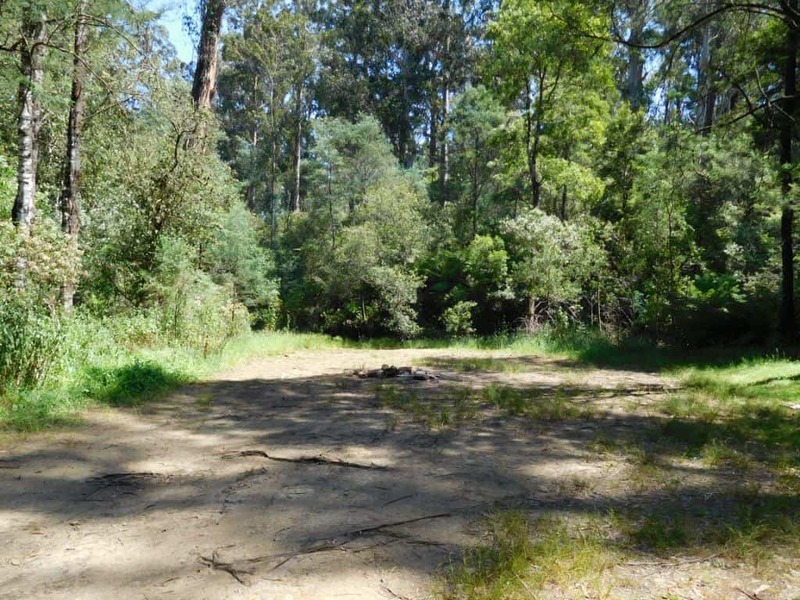 The 2-3 km of the old railway is quite flat – a serene & peaceful camp could be made here and there along it. There is also a single pleasant camp where it rejoins the road just below Growlers, and multiple sites a little over a km further at Growlers itself. The old railway is easy going in places at least. With great views of the river. You never tire of watching water flow over stone. Spot enjoys the view too. The road carries on up the river to Growlers. There are many wonderful stands of ash regrowth. Growlers is a pleasant camp. 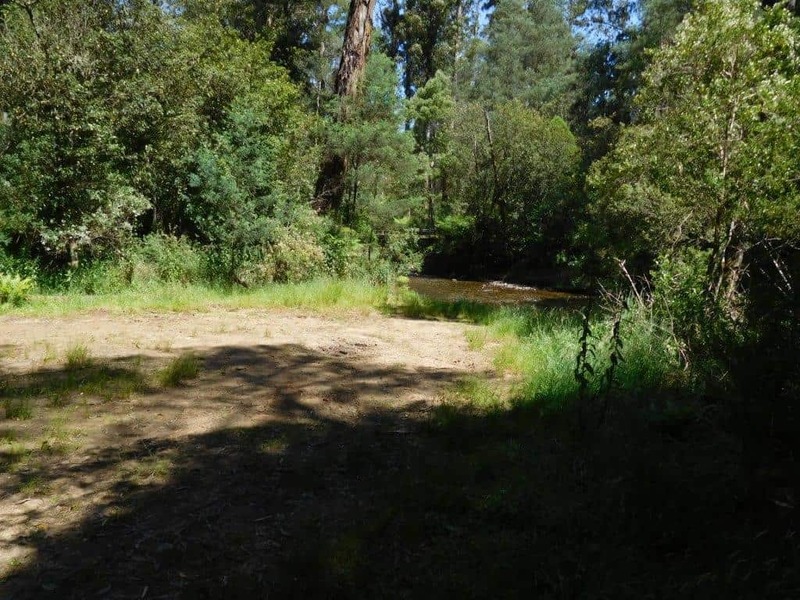 A quarter century ago I used to walk across the bridge at Growlers and follow the road which has now disappeared into the forest a couple of kms downstream to where there were immense sawdust piles over 20 metres high scattered along the river flats. Who knows how many forest giants they represented? Their insulative ability and I guess decomposition in their depths made them magically warm spots in the forest where no frost or snow would linger. They were a favourite bedding spot for deer, for that reason. I often put up a fine stag here. 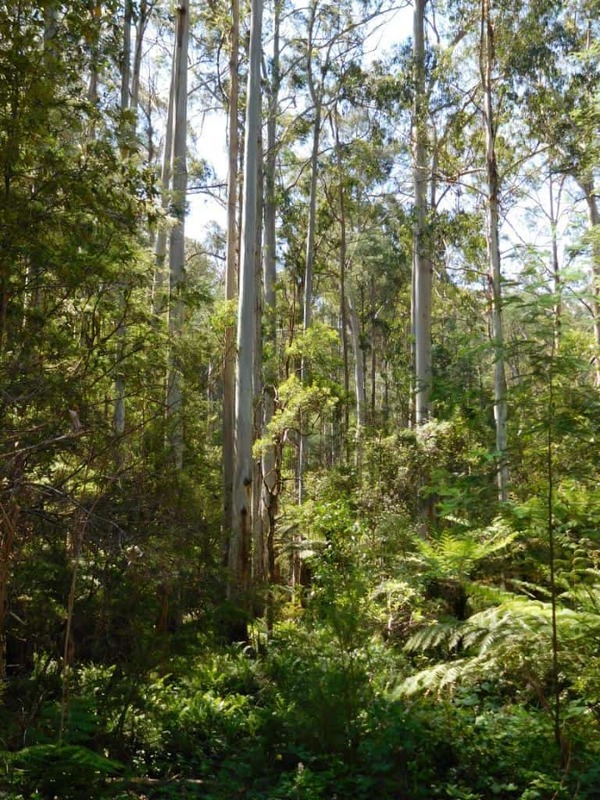 The forest is probably far too thick for hunting. 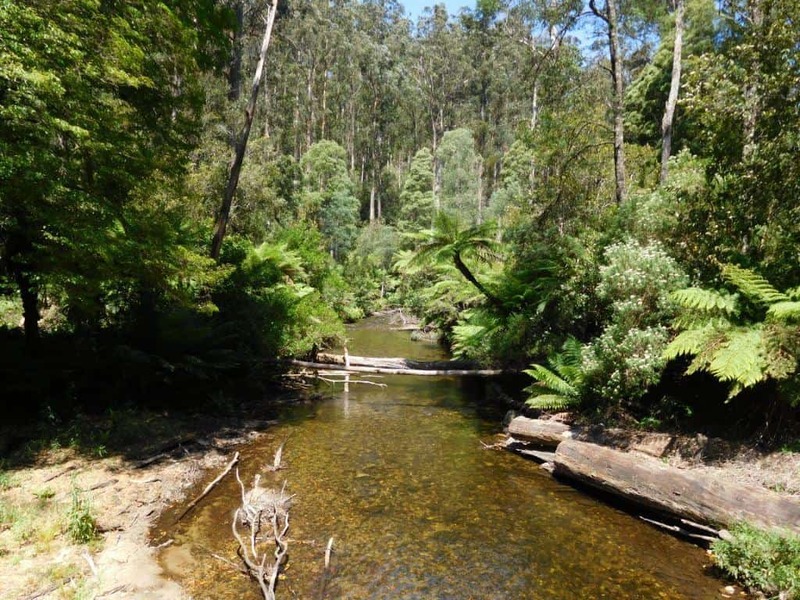 After you come out on to the Tanjil Bren Rd it is only a few kms to the turn off to Christmas Creek, a very pretty camping spot where you may wish to spend a night a couple of kms off your main route. 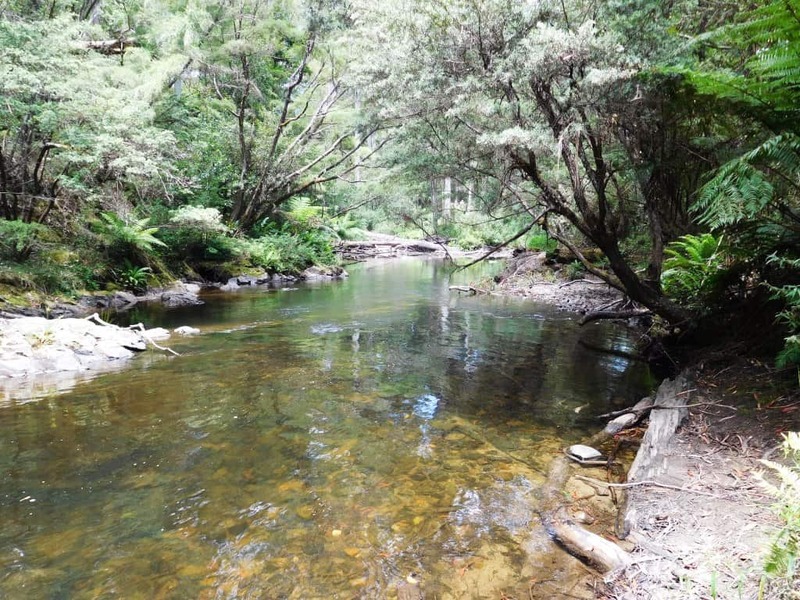 You can imagine camping by the bridge at Christmas Creek for a couple of days. You continue along the Tanjil Bren Road at least as far as Young’s Track. 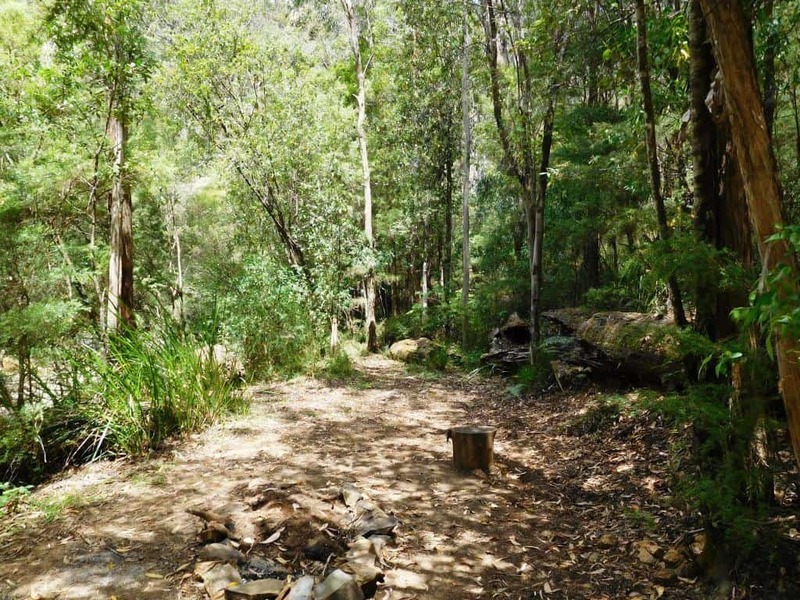 Here you can choose to continue, or divert to the Tanjil River (campsites) which you cross, follow the Long Spur track until it joins Rowley’s Hill Road. And then it until you finally come to Tanjil Bren. There are toilets, a shelter house, water, accommodation – even some supplies in the ski season, though this is not certain. If you instead continue along the Tanjil Bren Rd (there is water from flowing streams every 2-3 kms), you will eventually come to the Baw Baw Rd. 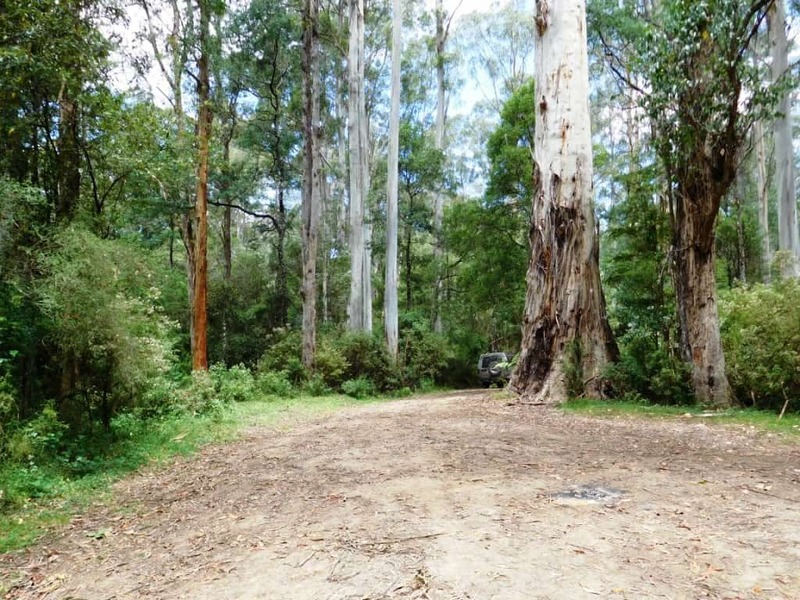 Turn West towards Tanjil Bren and continue on the tar road for about three kilometres until you come to the Big Tree Track. You can follow this to Saxton’s Road where you can either turn to Tanjil Bren or go on to Downey to camp on the West Tanjil River. 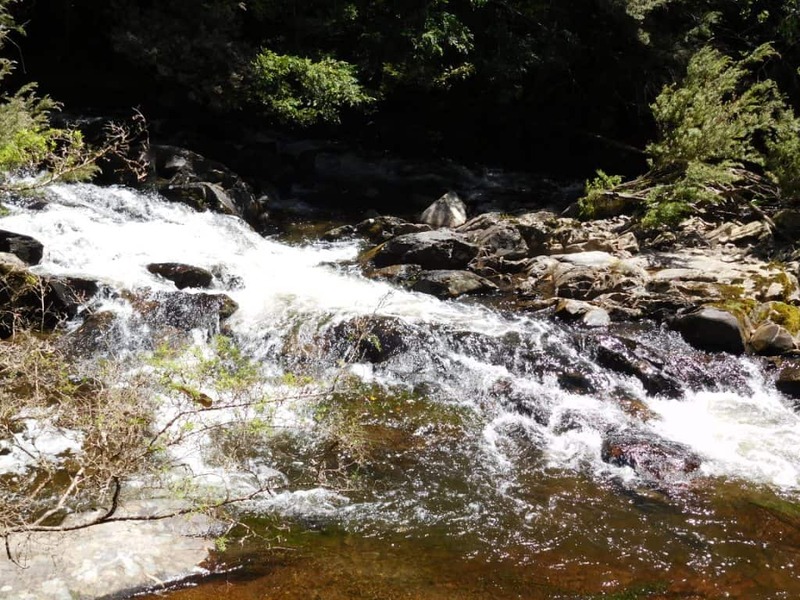 After Tanjil Bren, a really beautiful side trip is to walk west along the West Tanjil River along the old tramline until you come to Tramway falls. The forest along the way is spectacular. There are vast stands of Antarctic Beech which will make you think you are in Fiordland, New Zealand. It is quite the most beautiful spot in the world. The falls too are quite lovely. I have been inspired by this post for sometime now, and finally got to visit this past week. 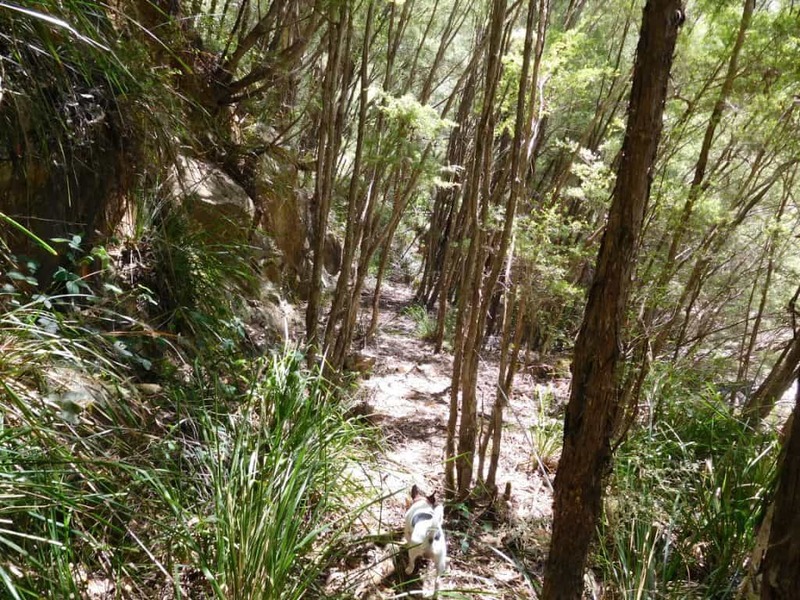 My husband hurt his foot a few days prior, so – instead of hiking – we chose to stay at Palmers and use our pushbikes to do some exploring along the Western Tyers Road. Such a beautiful area, and a slow ride downstream from Palmers was just delightful. The tramline between Palmers and Growlers looks like such a pretty walk too. Thank you again for your inspiration and ideas. It is a lovely spot isn’t it? 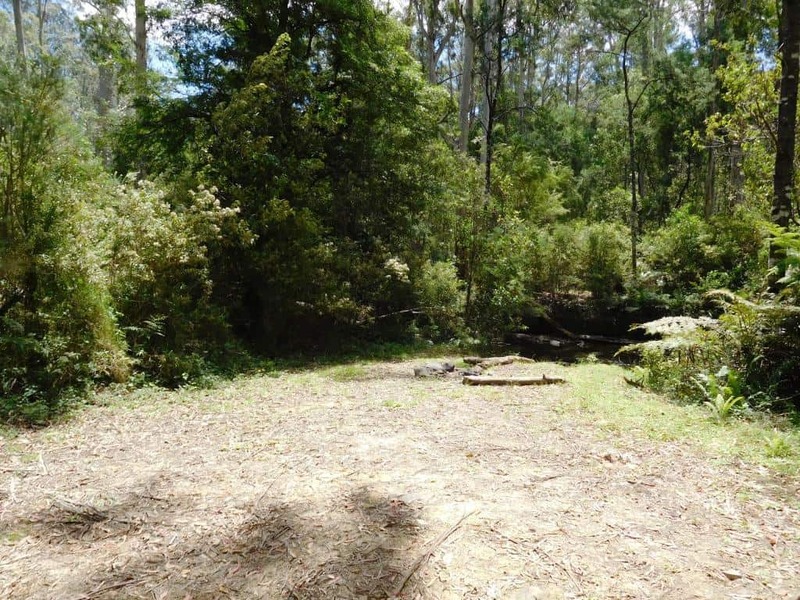 You can see why I would love to see the walking track back to Carringal re-cleared, and the river cleared for canoeing all the way to the Morwell Pumping Station. 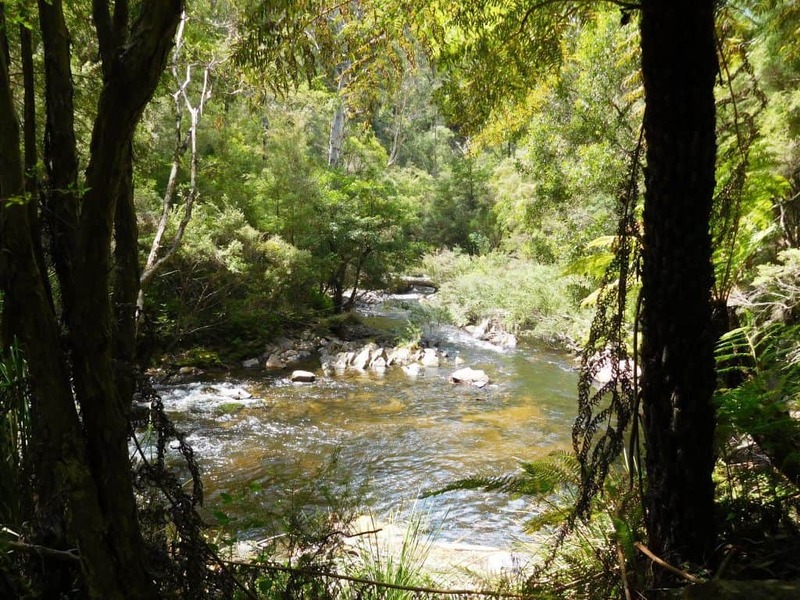 There are lots of other beautiful spots all along the Tyers. Lots of trout and crays too. Glad you enjoyed yourselves and that I was able to help in some small way. I have a sore ankle too this last two months. Hoping mine and your husband’s get better soon. Thanks Jenny, Steve.